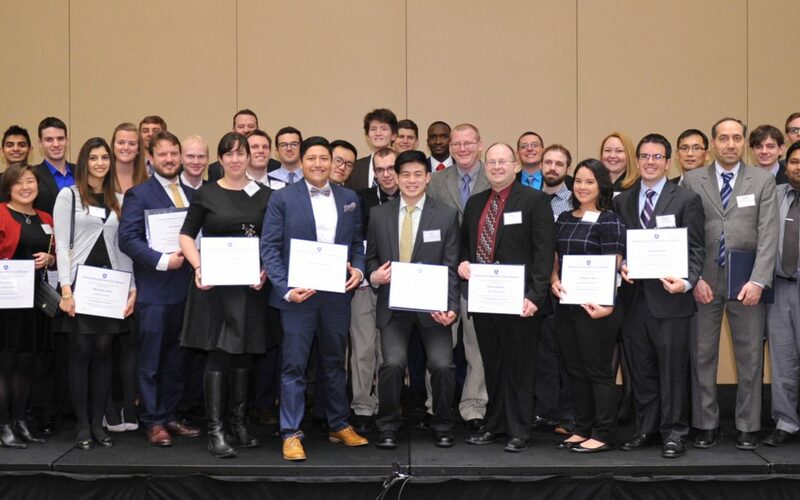 The Council of University Transportation Centers (CUTC) held its 2017 Annual Awards Banquet Jan. 7, in Washington, D.C., to honor students and faculty across the transportation field. Dr. Beverly Scott, CEO of Beverly Scott and Associates and research associate at the Mineta Transportation Institute at San Jose State University, gave the keynote address. Former U.S. Secretary of Transportation Norman Mineta, for whom the institute is named, was an honored guest. More than 50 awards were presented, including student of the year awards, new faculty awards and lifetime achievement awards. The event was held in conjunction with ARTBA’s Research & Education Division (RED) annual meeting and the Transportation Research Board’s (TRB) annual meeting. CUTC, established in 1979, works to advance the state-of-the-art in all modes and disciplines of transportation. Its membership consists of 93 of the nation’s leading university-based transportation centers. To find out more about CUTC, contact ARTBA’s RED Managing Director Una Connolly at uconnolly@artba.org or 202.289-4434.